Manama : Winners of the second edition of Nasser bin Hamad Scientific Research Award in the field of sports were honoured at the awards ceremony on Wednesday. President of Al Istiqlal University in Palestine Dr Abdulnasser Qadoumi won the Sports Management category award, while Reema Abdulla of Bahrain and Abdulghani Al Hutami of Yemen shared the award for the Sports Medicine category. 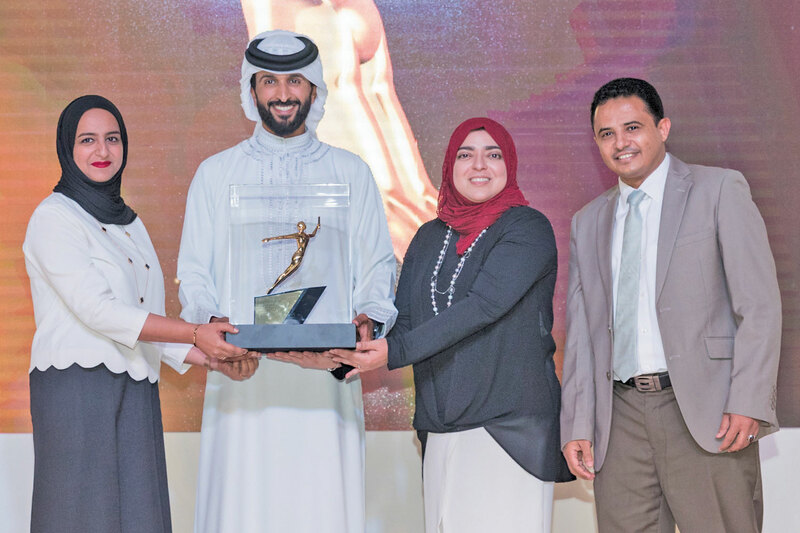 The third and last category award was in Sports Training, shared by Shereen Tawfeeq, Huda Habib, Hanan Al Shaikh, Omar Al Samani of Bahrain and India’s J. Kotian. Other awards were presented for the distinguished researches in the Sports Management category, which were won by Dr Faisal Al Mulla Dr Amin Mahmood, Dr Ali Sulaibeikh, Dr Haytham Hamid of Bahrain, Saudi Arabia’s Haytham Al Masarwa, Dr Ammar Al Rifai and Dr Ammar Al Rifaie. In the youth section, Dana Al Binali of the University of Bahrain won the award for her research on human resources strategies at national sports federations. The awards night was organized by the Bahrain Olympic Committee (BOC), and patronized by HH Shaikh Nasser bin Hamad Al Khalifa, Representative of His Majesty the King for Charity Works and Youth Affairs, Supreme Council for Youth and Sports Chairman, and BOC President. HH Shaikh Nasser presented the awards to the winners, in the presence of Shaikh Salman bin Ibrahim Al Khalifa, Supreme Council for Youth and Sports Secretary General, BOC Vice President, and Chairman of the Board of Trustees, and high-ranking sports officials. HH Shaikh Nasser also won a Medal of Scientific Excellence from the British Scientific Council and the Academy of Scientific Research and Training, and was presented to him by British Ambassador to Bahrain Simon Martin, and President of the Academy president Dr Wisam Al Shaikhli. 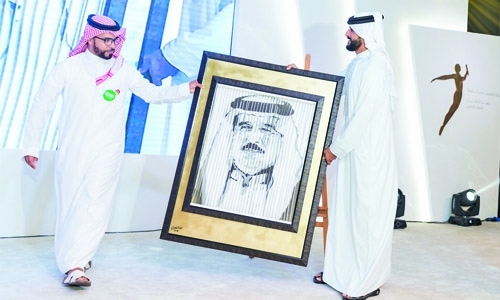 The ceremony ended with Shaikh Salman presenting a special paint of His Majesty King Hamad bin Isa Al Khalifa, Shaikh Nasser bin Hamad Al Khalifa and Shaikh Khalid bin Hamad Al Khalifa to Shaikh Nasser. It’s worth noting that the award is in line with the BOC strategy to develop sports movement in the Kingdom, in accordance to scientific standards based on specialized scientific research. This first-of- its-kind award in the Kingdom is an incentive for researchers to explore their creativities in the field of sports, which has become a fertile ground to take sports into broad prospects that has surpassed old concept surface to become one of the leading industries.